making sense of action research for further classroom action. 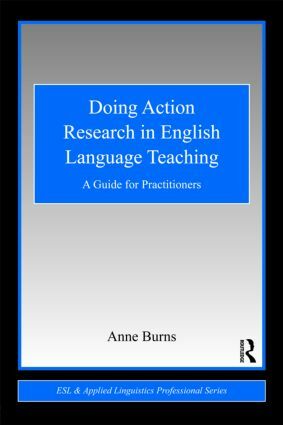 Bringing the 'how-to' and the 'what' together, Doing Action Research in English Language Teaching is the perfect text for BATESOL and MATESOL courses in which action research is the focus or a required component. Anne Burns is Professor in the Department of Linguistics, Macquarie University, Australia, and former Dean of the Division of Linguistics and Psychology.